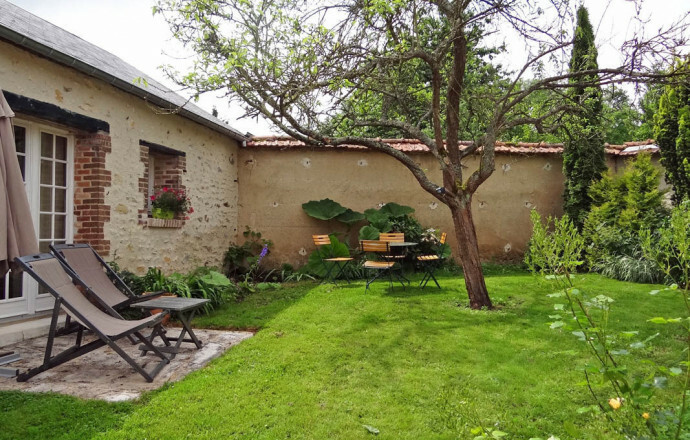 House for 2 with a small fenced garden overlooking the Seine valley, near Les Andelys and the Gaillard castle. This property offers remarkable views of the Valley of the Seine and its slopes limestone, sometimes up to Château Gaillard! 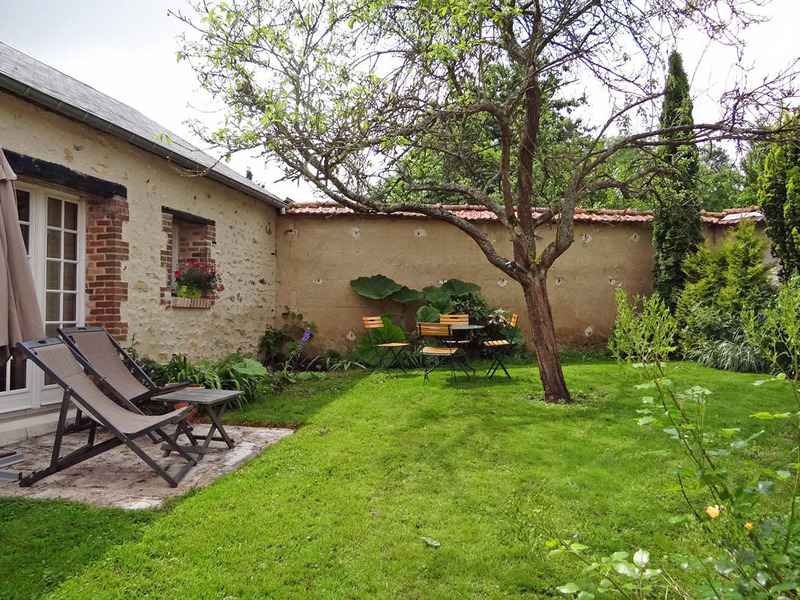 In the heart of 5000 m² landscaped, this adorable little cottage has a pretty walled garden. Comfortable, tastefully highlighting traditional materials (stone, tiles, beams), it is also very well equipped. GROUND LEVEL : entrance, living-room with dining-room and living-room (sofa bed), kitchen, bedroom (1 double bed), bathroom with toilet. Between Les Andelys, its Château Gaillard and its banks of the Seine, Gaillon and its Renaissance Castle, and the Valley of Eure, you will enjoy here of landscapes and outstanding sites. Table tennis, badminton. Séjour chaleureux avec poutres et tomettes, salle à manger et coin salon, lumineux grâce à une double exposition. 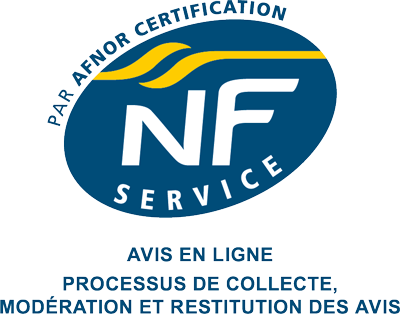 Cuisine fonctionnelle et très bien équipée. 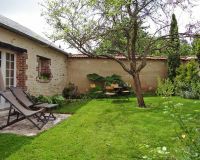 Jolie chambre claire et lumineuse, ouvrant sur le petit jardin clos de murs.